Wednesday, April 24, 2019 - - Take a look at what’s fresh and in season. We source the finest specialty produce from the best growers the world over. 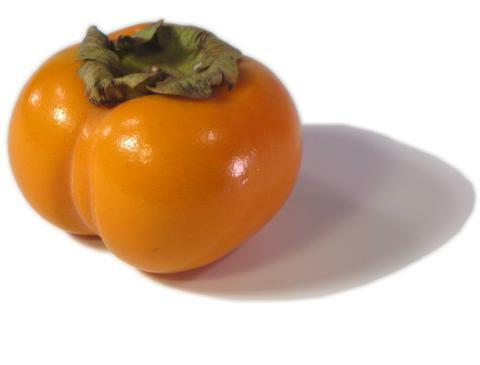 The Fuyu persimmon is round with a flat top and bottom and should be eaten when hard, like an apple. The outer skin is edible and there are a few internal seeds that should not be eaten. The Fuyu (or flat) persimmon contains none of the bitter tannins that are found in the Hachiya persimmon, this allows the persimmon to be eaten at any point after harvest. Fuyu persimmons can be prepared like pears or fresh apples; sauteed with either sweet or savory ingredients. Persimmons are packed with vitamins and low calories and is an ideal ingredient in a variety of salads, fruit salads, mousse, jam. Persimmons contain twice as much fiber as apples, they are rich in other elements such as calcium, iron and magnesium. Classically a fall fruit in the Northern hemisphere, persimmons can be sourced from South America in April and May. 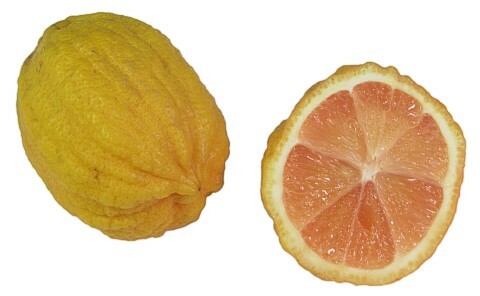 As the citrus season winds down, there are still a few fruits being harvested that are unique and delicious; one of them is the unusual alternative lemon - the Variegated Pink. Rare Variegated Pink lemons are less acidic than regular lemons when they reach maturity. This fruit is actually a mutant found on an ordinary Eureka lemon tree in Burbank, CA, around 1930. Its immature fruit has green and white stripes; the older fruit loses the stripes and develops flesh pigmented pink from lycopene, which also colors pink grapefruit. The trees are usually poor producers, perhaps because their variegated leaves are low in chlorophyll. Harvest is also difficult because these trees have thorns and widely spaced fruit. Once harvested, they taste much like regular lemons; though when mature, the flavor can be less acidic, with a tutti-frutti hint. Available for a short period in the late spring, these lemons are a unique way to share citrus flavor with your customers. Also known as Pineapple Guava or Guavasteen, the feijoa is from the Myrtaceae plant family and is native to Brazil and Uruguay. 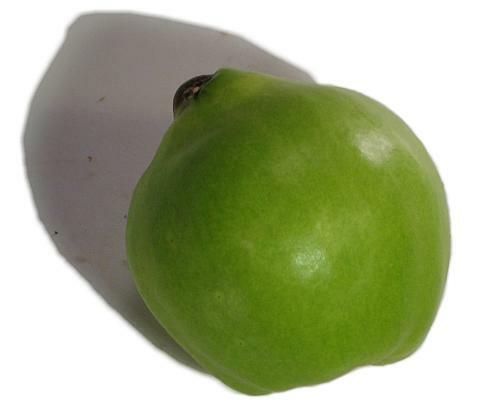 Feijoas can be considered as either warm climate or subtropical. First introduced into New Zealand in the early 1900's the fruit was small and it was not for another 20 years before new cultivars were imported that were larger with improved flavour. The fruit grows on small trees. Fruit is hand picked. Fresh feijoas are a good source of Vitamin C, are low in calories and are high in minerals and fibre. 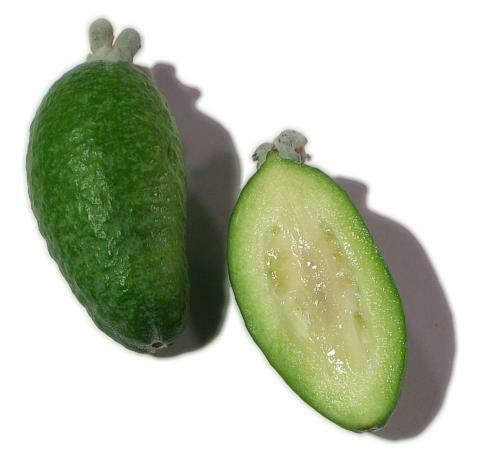 All of the feijoa is edible except the outer skin. To enjoy a feijoa, simply cut in half and scoop out the centre with a spoon. Use in place of or in addition to other fruits in sorbets, sherbets and smoothies. Use instead of apples or bananas in pies and baking. Sprinkle lemon juice over cut feijoas to prevent browning. Sometimes referred to as the aristocrat of vegetables, asparagus is a member of the lily family and is related to onions and leeks. Asparagus contains a good supply of vitamins and minerals and the most commonly cultivated varieties are white and green. Purple asparagus was first cultivated in Italy and it's purple color indicates a high level of the antioxidant anthocyanin. Purple asparagus is generally tender enough to eat raw and it classically has a higher sugar content than other asparagus varieties. The beauty of this perennial herb is only skin deep as the internal flesh of the purple asparagus is green and cream colored like traditional green asparagus. If cooked, the purple color fades to green; the purple color can be maintained by roasting or serving raw. 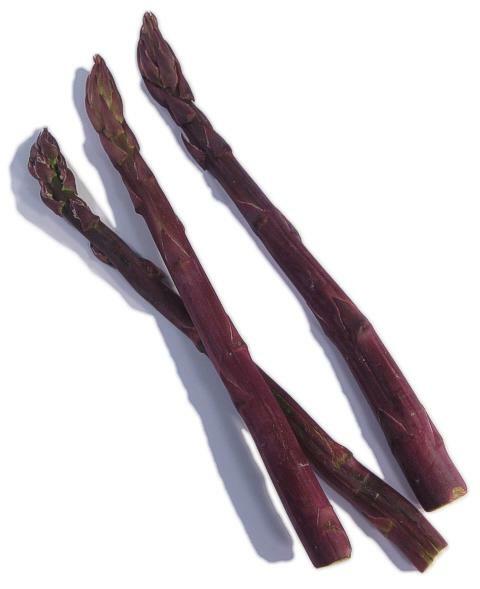 Available from spring through summer, purple asparagus is a unique, colorful and healthy vegetable to add to your menus! 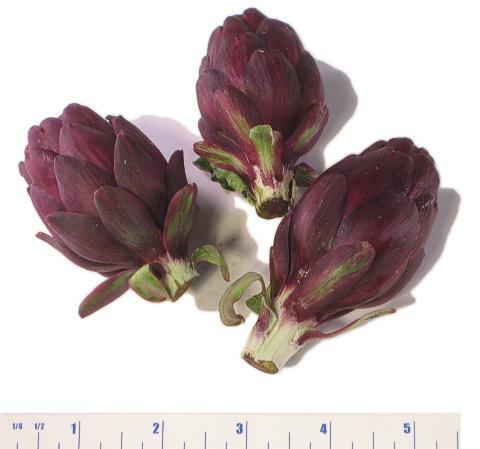 Artichokes are actually a flower bud - if allowed to flower, blossoms measure up to seven inches in diameter and are a violet-blue color. Artichokes are a close relative to the thistle. The baby artichoke is usually small enough to fit in the palm of your hand. If cooked thoroughly, the entire artichoke is edible. Steam or saute thoroughly and serve with your choice of "dippings." High in potassium, vitamins A and C.
These beautiful baby artichokes were developed in 2004 from traditional European varieties, such as French 'Violet de Provence' and Italian cousins in Sicily, Tuscany, and Venice, like 'Violetto di Toscana'. This Fiesole is similar to the European Violettos. Wonderful when steamed, they are also delicious raw. Some peel the stem and eat it raw dipped in olive oil with salt and pepper. They also make attractive additions to salads. "A man, J. W. Philippi of Acampo, has originated a new fruit known as the "peacherine." It combines the solidity and flavor of the nectarine with all the good qualities of the peach. It is becoming so well known and liked that calls are coming from all parts of the world for it. Incidentally, proving the value of California land, it is said that the originator of the peacherine has made an annual profit of $2000 from a single acre, notwithstanding that his residence and other buildings are on the same tract." The Peacherine tree carries large fruit intermediate in appearance between a peach and a nectarine, large and brightly colored like a red peach, with a good flavor. The flesh of the fruit is usually yellow but white varieties also exist. Quince is harvested from a small fruit tree that's botanically in the rose family, this makes quince also related to apples and pears. Common quince is native to Iran, Turkey, and perhaps Greece and the Crimea. Rhubarb (Rheum rhabarbarum L.) is a cool season, perennial vegetable, grown for its leafstalks that have a unique tangy taste, generally used for pies and sauces. Rhubarb was first cultivated in the Far East more than 2,000 years ago. It was initially grown for medicinal purposes, and not until the 18th century was it grown for culinary use in Britain and America. Although the leaves are toxic, various parts of the plants are purported to have medicinal and culinary uses. In the kitchen, fresh raw stalks are crisp (similar to celery) with a strong tart taste. Most commonly the plant's stalks are cooked with sugar and used in pies and other desserts. It pairs well with strawberries for an exquisite combination of sweet and tart. It is also delicious stewed. Good source of calcium and potassium. There are two primary varieties of rhubarb: Hothouse and field grown. The hothouse variety is generally a little lighter in color and less 'stringy'. Hothouse rhubarb, which is cultivated in Washington and Michigan is harvested from January through June. Field grown usually hits the market from April through June or July. 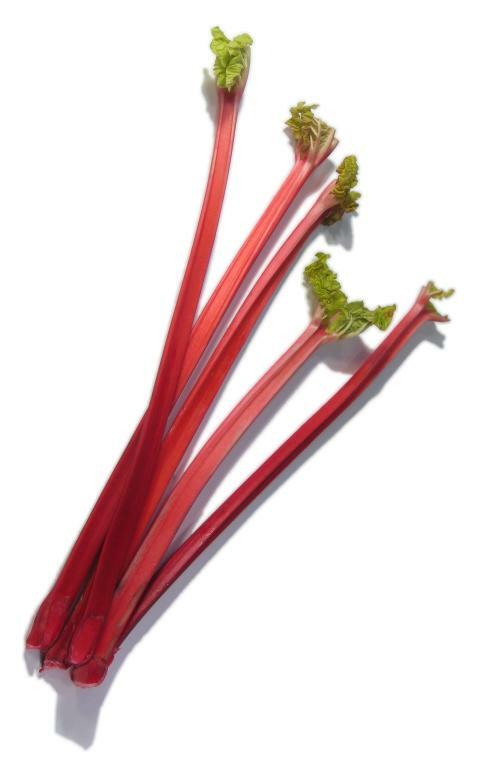 Identification note: Rhubarb is usually considered to be a vegetable; however, in 1947 a court in New York, NY decided that since it was used in the United States as a fruit, it was to be counted as a fruit for the purposes of regulations and duties. Culinary Note: Never eat the leaves, raw or cooked, as they contain toxins. Cut the leaves off and discard as soon as preparation begins. Rinse the stalks and trim off the tops and bottoms of each piece. With the more mature stalks – or field grown rhubarb, remove the outer skin by peeling from the base of each stalk. Storage: Fresh rhubarb can be stored for two to four weeks at 32-36 degrees F and 95% relative humidity. Store in perforated polyethylene bags. Pack: 2 lyr/ 36 ct. 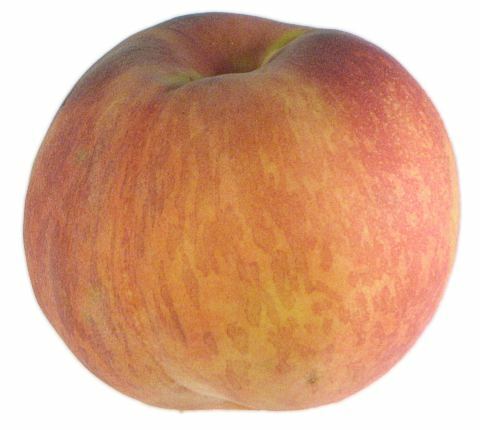 The donut peach is a descendant of the flat peaches of China. First grown in America in the 1800's. The name was derived from the appearance, which looks like a cake donut. The peach is approximately 1 to 2 inches in height and 2 to 3 inches in diameter. The skin is pale yellow with a red blush. The pit (free-stone variety) is about the size of a pistachio nut. The white flesh is tender, juicy, and sweet tasting, similar to a nectarine. The peach has a low acid to sugar ratio, so it is sweeter than the orange flesh variety. It is an excellent addition to salads, desserts, crepes, and other dishes requiring fruit. This fruit usually ranges in size from an orange to a large grapefruit. It has a leathery skin that must be peeled to reveal the hundreds of tiny red seeds. The seeds are entirely edible, crunchy, sweet and berry-like in flavor. Makes wonderful syrups, sauces and juice, or may be combined with other fresh fruits for exciting compotes. Rich in potassium. 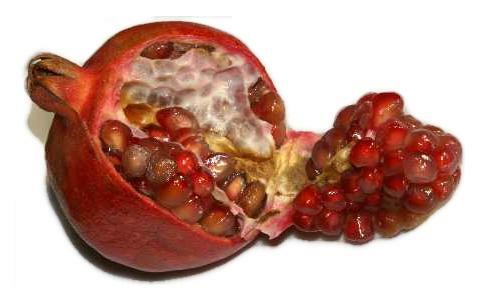 Every pomegranate is composed of exactly 840 seeds, each surrounded by a sac of sweet-tart juice contained by a thin skin. The seeds are compacted in a layer resembling honeycomb around the core. The layers of seeds are separated by paper-thin white membranes which are bitter to the tongue. The inner membranes and rind are not generally eaten due to high tannic acid content, but they are useful as a skin wash. Many people eat the fresh fruit by chewing on the seeds to release the juice from the sacs and then swallow seeds and all. The seeds are considered good roughage to help cleanse the body. In India, the seeds are dried and ground into a powder to be used in meat dishes. 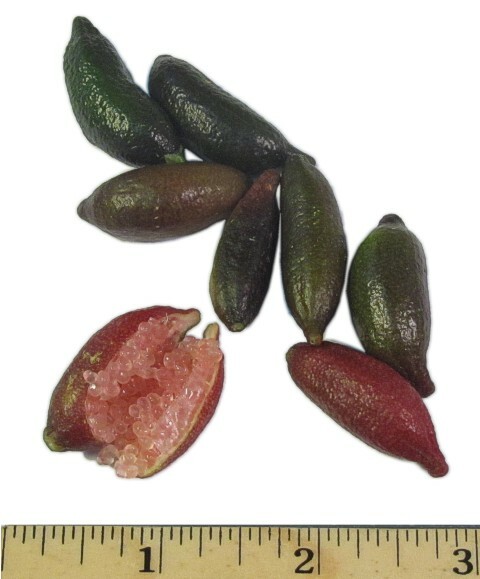 Finger Limes range in size from 1-3 inches long and are about 3/4" in circumference; a micro-citrus originally discovered growing wild in Australia and introduced for growing in California. The aromatic outside skin is a triad of colors - mostly brown with green tinges on smooth skin. Inside, the juice vesicles are 3mm in size and light green in color; when removed from the skin, they look like caviar. Generally seedless but odd seeds do occur. The flavor is a lemon lime combination with herbaceous undertones. Imagine eating a citrus pop-rock! These are great compliments to seafood or any other application where one would use a citrus accent.